Artsy fartsy doesn’t sell in a mass consumer market. I don’t wish to discourage any artist from designing in their own voice, but typically, people enjoy simplicity; generic ideas, easily understood and recognizable. By artsy farty, I am referring to esoteric ideas, themes, and execution. What made my artsty fartsy designs fail? Frankly, unless you are in a niche market like Design By Humans, the majority of the population does not have the palette or affinity for esoteric expressions. They simply don’t have the ability or desire to understand a different language. We are still very much like animals. We still exhibit the fight or flight tendencies in our decision making. We desire social validation and acceptance as community beings so if you apply this theory to products, we want a product that communicates a positive and acceptable message to the rest of the world. We don’t want to scare anyone into thinking we are different. To wear something that is difficult or even unable to be understood, you might as well be wearing something with a foreign alien language. We live in a world of symbols. Male/Female bathroom signs are universally understood. The color red, a sign of urgency, skulls typically represent death, etc. As artists, we can help to create new symbols, but we must teach the world first before they understand it and are at ease with it. So there are two paths. 1. Design using symbols that already exist. 2. Be the forerunner in defining a new set of symbols, or way of expression, until it becomes accepted, if ever. The latter is the true artist’s journey, so it is most difficult. But it seems, that once you define a way of expression, you will have defined your niche, so you can rarely deviate from it once settled into popularity. BTW, did you know that even with gallery art, the top selling designs are typically generic? Landscapes, abstracts, dogs, and portraits. So what should you design to be successful? 1. Look at trends. If you observe enough of the market, you will see consistency, an affinity for certain topics, or specific design aesthetics. 2. Include pop culture references. It’s a no brainer for Marc Ecko and Adidas to be partnering with Lucas Films to create products that are Star Wars related. Star Wars is widely understood and enjoyed. Immediately, when people see the symbols or imagery related to Star Wars, cha-ching. You know it’s $$$$ MONEY $$$$. 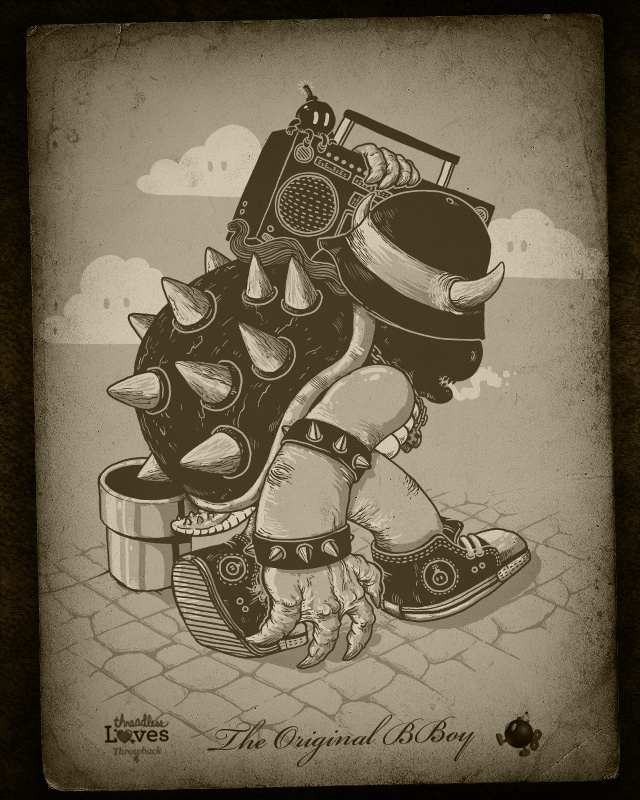 If you look at Threadless, you will see a lot of other topics that are pop culture/cult following related products. Video games, zombies, tv/movies, etc. Piggy-backing on something that’s already popular is the easiest route to getting sales, and attention. There is a legal issue here. You must parody, or coyly design in a manner in which will allow you to skirt copyright infringement issues. Thankfully, parody is a route. 3. Keep it simple stupid. Don’t deviate too far from the normal way of expressing ideas, and don’t be complicated in artistic expression. Solid low color designs are king. You want to create a design in which, someone walking by in a second understands what they are looking at. This is related to symbols. Symbols are simple images. Just as we recognize a smiley face with a cirle, two dots and a semi circular line, you want your image to be almost just as simple. Recently, these are a few submissions I’ve seen at different sites which are obvious winners if they are printed. These are full of win. Obviously, it doesn’t take a expert to recognize them as good sellers. 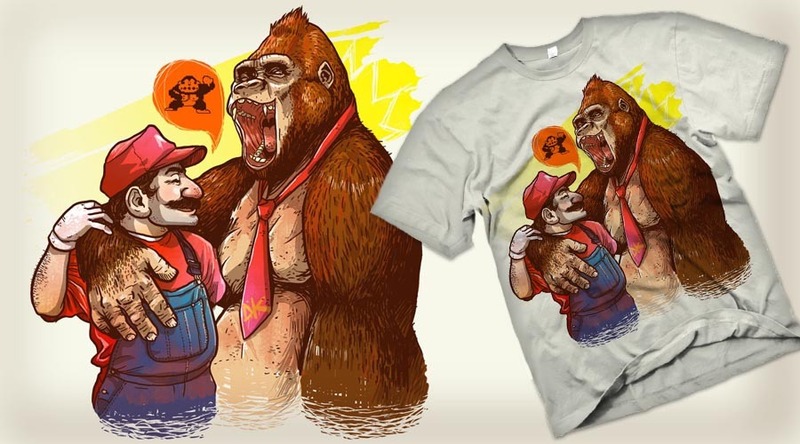 Although, the skills exemplified by these pieces are professional, I would chance to say that, concepts sell most shirts, so these could have been done by a crappy artist, and they would still sell. This entry was posted on January 4, 2010 at 8:54 pm and is filed under Design Tips with tags Jimiyo, TIPS. You can follow any responses to this entry through the RSS 2.0 feed. You can leave a response, or trackback from your own site.